Hi. My name is Khuong Do. I’m a Project Planner / Construction Claims Consultant / Delay Analyst in Civil, Transportation and Oil & Gas Industry. I’ve also worked as a Primavera Consultant Specialist since 2006 . I’ve got a Civil Engineering degree and a Bachelor of Information Management System. Now I’m working in SGC company, providing Construction Claim, Delay Analysis service. We’re based out of Beijing – China, Dubai – UAE and Vietnam. I love to share my knowledge about Oracle Primavera software. Quick question, If a contract terms requires project completion in conservative calendar days (6 or 7-days/week) and contractor are working week days (5-days/week). How should contractor show actualized completed field work on the schedule, use calendar days or working days? And how would they recoup or make up all the none weekend work to meet deadline/project completion without delaying or asking for excusable and compensable extension of time. Thanks! If the contract term use 7 day workweek and define start date 01-Jan, end date 07-Jan, it mean 7 working day. The contractor use 5 day workweek. When you create project in Primavera, choose 5 day workweek calendar. Then your project will finish on 09-Jan.
Hi Duy Khuong, Is it possible to have P6 (V6.8) o the Earned Value equal to Actual Cost when tracking the progress? I have to manually set the actual cost to be the same as earned value cost. I am trying to plot a remaining cost histograms by months. I have not try it but I think it’s possible using Global change function. Hi Khuong, your posts are really resourceful and knowledgeable. I really would like to connect you for further learning of construction delay and claim analysis. Thanks. It’s nice to know you. Which Fields can be imported into Primavera P6 from Excel (XLS) Spreadsheet? 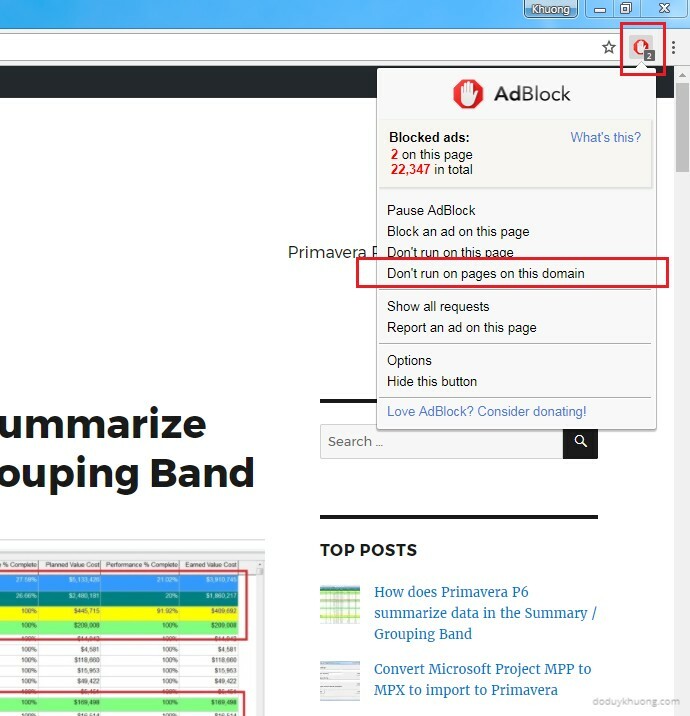 If you’re using Adblock program, kindly disable it to support my website.